Here is the right place for Windows users who want to share folder and files on Network. 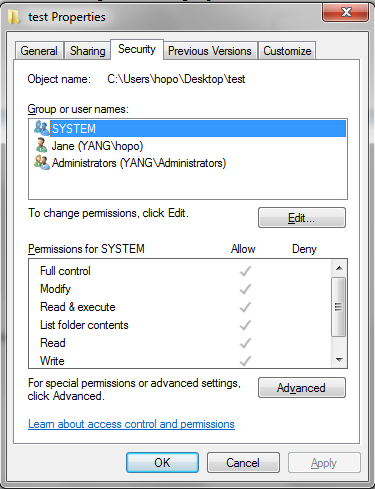 It shows you how to set and assign shared folder permissions to protect shared folder and data in detail. It is available for Windows 7, Vista, XP, 2003, 2008 server. If you are a Mac user, it might also help you a little though not much. And for users who can’t access shared folder and files, it may also be helpful. But we’d rather recommend you read another article How to Access Shared Folder and Files for more accurate advice. When share folders and files on Network, the most important thing is assigning file sharing permissions for users to access. There are Network folder permissions for all Windows systems. The most common shared folder permissions are read, copy, write, modify, overwrite, print and full access. If you need share a folder with multiple users groups, right file access permissions will help you protect the shared files and prevent data leak. While wrong folder sharing permissions may also lead access to shared folder denied. You may share a folder on your local PC or Netword with other users. Here we are mainly talking about sharing folder and file on Network. To help you understand more clearly, we'd like to explain how to assign permissions when sharing a folder on local PC. Then introduce detailed ultimate solution of assigning shared folder permissions on Network. 4. Click Edit and select the User/Group you want to assign permissions for. You can click Add to choose a Lan user and group from your Network. To assign a permission for a user, just check in the Allow box. To block access, check the Deny box. However, the above method is not as easy and secure as expected. And it might meet problems when sharing folders and files on Network. A ultimate solution for sharing folder on Network is using a program such as Shared Folder Protector to password protect shared folders and assign permissions for different user groups. 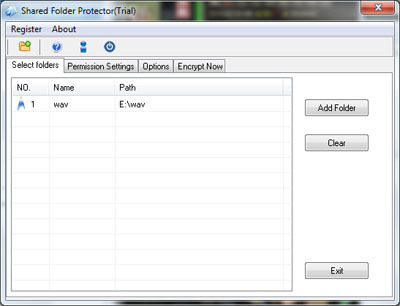 You can learn more details from its official product page: Kakasoft Shared Folder Protector. 2. Add Folders: You can add a folder via three ways. 3. Assign Shared Folder Permissions for User Groups: You are able to customize as many as 15 types of permissions for different user groups. You also can set different passwords for them. This is very flexible and secure for sharing folder on Network. 4. Encrypt the Folder: With administrator password, you can encrypt the folder you want to share and others without password can’t even read it. 5. Share the Folder on Network. You can get more explanations of the above steps from How to Protect your shared folder on network . You also can watch its Youtube Demo from http://www.youtube.com/watch?v=j2Qvd3kBlRU. Download Shared Folder Protector NOW! Buy Shared Folder Protector NOW!